David Henshaw(ATCL) won the Rae Woodlands’ Scholarship to observe at the Britten-Pears School and has enjoyed regular solo concert bookings, including Handel’s Messiah at Peterborough Cathedral and Brahms’ Requiem at Derby Cathedral. 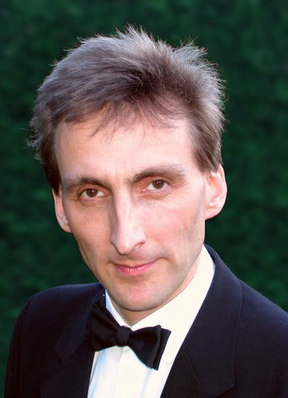 Taught by Michael Dewis & Barbara Lowe, he sings with the Sitwell Singers, conducts Melbourne Operatic Society shows and the Derby Hospitals Choir and is choirmaster and organist at St. Peter’s, Chellaston. David is a founder member of and resident bass with 'operahouse' with which he has performed the roles of The Bonze and Yamadori (Madame Butterfly), Scarpia (Tosca), Germont (Traviata), Sarastro (Magic Flute), Tonio (Pagliacci), Leporello (Don Giovanni), Dulcamara (Elixir of Love), Marcello (Bohème), Ramphis (Aïda). With Charnwood Opera his roles included Germont (Traviata), Belcore (Elixir of Love), Sarastro (Magic Flute), Marcello (Bohème), Figaro (Marriage of Figaro), Escamillo (Carmen), Dr Falke (Fledermaus), Baron Zeta (Merry Widow), Ramphis (Aida), and Coppelius (Tales of Hoffmann). With New Opera, Derby David has sung Rocco (Fidelio), Ramphis (Aïda) and Long Tom (Merrie Engand)) and has also sung major roles in all the G&S operettas.